Now at Flashbak, my look at the five worst monsters of the horror films of the seventies. "In the 1970s, the horror film underwent a dramatic transition in terms of monsters. Hammer Studios’ Dracula and Frankenstein series were ending their long reign on the silver screen and a new breed of monster -- slashers like Michael Myers and Jason Voorhees -- waited in the wings for the next evolution of the format. In this time of shifting fears and shifting expectations, new monsters rose to fill the void at the cinema, and some were very effectively-crafted. This was the era, after all, that first presented audiences with terrors like the demonically-possessed Linda Blair in The Exorcist (1973) and Leatherface in The Texas Chainsaw Massacre (1974). Yet for every big screen monster that proved absolutely terrifying, there was another that, oppositely, proved…absolutely dreadful. 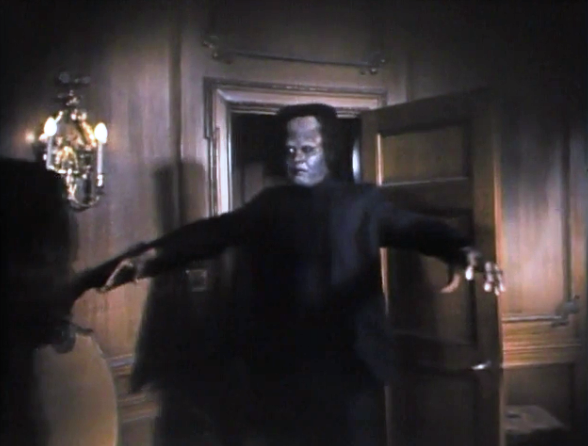 Inspiring fear in absolutely no one, are these: the five worst horror movie monsters of the 1970s." My gosh we must have been terribly naïve as children in the 1970s. It seems the same case with Doctor Who in the 70s. I found these monsters to be quite terrifying. I mean, I'm sorry but that mutant bear in Prophecy was truly frightening as a child. Some of the monsters had a similar effect on Who when I was a kid. Today, not so. I was kind of interested in seeing Prophecy again but I'm thinking twice. huh. Luckily, I only managed to see 2 of those 5 movies. Lepus and Spider Invasion. Bleh and Bleh.